The Spirit is moving among us! God is working a wonder and we are part of it as we share Christ’s amazing grace and love. 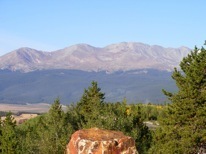 Organized in 1878, the First Presbyterian Church of Leadville has a long history of proclaiming in the high country God’s amazing grace and extravagant love for all people through Jesus Christ. 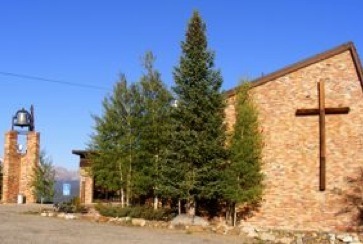 Originally a downtown church (the old red brick church) we moved to our present location in 1968. We are located at West Third & McWethy Streets on the West side of town next to the Community Park and Mineral Belt Trail. Come worship with us on Sunday mornings at 9:00am! 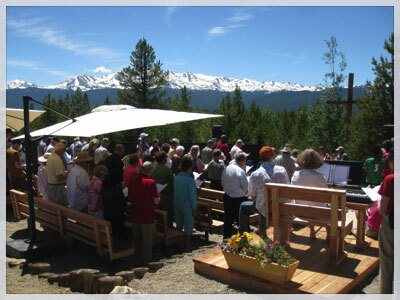 During the summer months (weather permitting) we worship in our outdoor chapel. Our worship offers a blend of music including traditional hymns with pipe organ and contemporary songs with keyboard and guitar. We also enjoy the music of our choir. Communion is served every Sunday for all who trust in Jesus Christ as their Savior regardless of church membership. Nursery care is available during worship.